Lead prosecutor William Weinreb delivers opening statements Wednesday at the Moakley U.S. 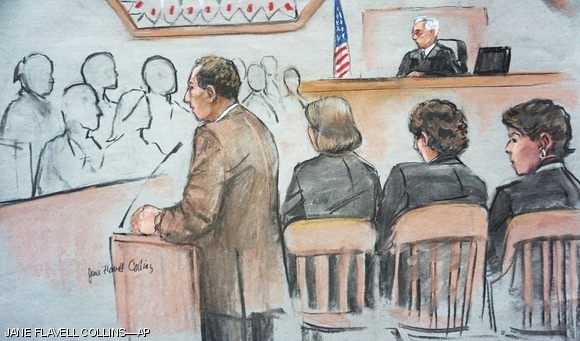 Courthouse while 21-year-old Dzhokhar Tsarnaev sits between his attorneys. Tsarnaev could be sentenced to death if convicted.